Apart from its several products in the market ASUS has led to develop devices that favor good user friendly actions and are good in sales also. 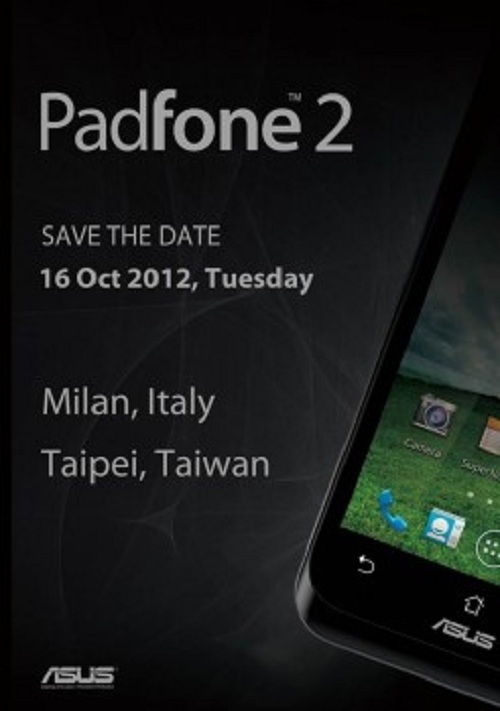 The recent news given by ASUS in the press events at Italy & Taiwan showed the precise upcoming of the new ASUS Padfone 2 that is much better than previous version of Padfone. This new Padfone 2 is rumored to have a sharp display of 1280×1024 pixel resolution with a 10 inches screen size that will show a complete best graphical user interface. This device would be powered with a quad-core S4 snapdragon CPU that will favor multi-tasking features as well as speedy output. The device is expected to come with more memory expansion techniques and also will include RAM much more than that of the previous version. All this will be disclosed by ASUS in its upcoming event at Italy and Taiwan. This device would give a tough competition to the devices in its segment.